Long life solid state LED lamps and precision fiber optics are used to provide drift and noise free measurement at very high precision. 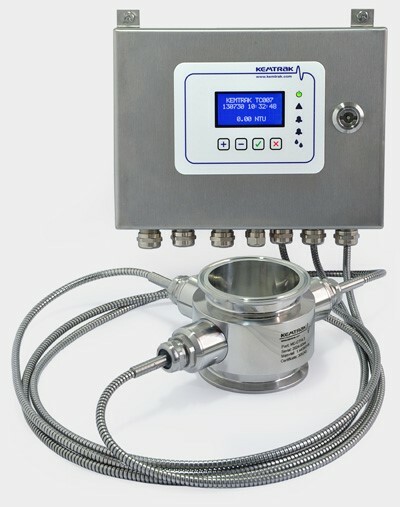 The Kemtrak TC007 can be configured to use the nephelometric method of turbidity measurement in accordance with International Standard ISO7027:1999(E). In this mode, a proprietary algorithm mathematically combines the ratio of attenuated and scattered light to accurately monitor the turbidity of the sample. Automatic compensation of sample color and fouling of the optical windows ensures trouble free operation.